Do you live in one of those areas blessed with snow nine months a year? Or maybe you have children (or husbands) who participate in cold weather sports events. Ever missed taking a great photo on your phone because you had to take off your gloves to do it? Not anymore! I was sent a pair of the new Agloves Sport. In the past I have been a dedicated bunny fur lined leather glove girl. These new Agloves are my new favorites. Made with real Silver (hence the Ag), these gloves conduct your body heat so that you can operate your touch screen phones and computers while wearing them. The new Sport Agloves are their warmest yet. While it wasn’t cold yet (even in Michigan), I realized that I could test them at my hubby’s hockey game. I had on hose AND jeans and my legs were still cold. My hands in the Agloves, however, were not. I would absolutely recommend these to anyone with a touchscreen device who lives or spends time in the cold. This would make a fabulous gift for the techie guy in your life. If my hubby hasn’t snitched mine, he’ll be getting a pair for Christmas! Love love LOVE the Agloves Sport! You can buy Agloves from thier website. The Agloves are priced at $18-24 and come in a variety of sizes to fit most adults! Thanks to the folks at Agloves, you can win a pair of the new Aglove Sport just in time for Christmas! They are water safe and still work when wet. I learned they’re called Ag gloves because Ag is the periodic table symbol for silver. And the gloves have silver threads in them, that’s how they conduct your body’s electricity. I learned that the gloves do not conduct body heat they conduct electrical current through the silver in them and it is not just a few fingertips like other gloves the silver is embedded all throughout the glove so that you can use all your fingers! Great idea!!! Wish I had thought of it. I can use my ipad outdoors in the winter with these on! I learned that its possible to wear gloves and be part of 21st century technology too! 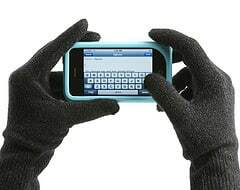 Agloves® is a patent-pending winter touchscreen glove company. The Boulder, Colorado-based business launched September 29, 2010 and currently employs seven people. I learned that the silver fibers are knitted into the fabric of the whole glove and not just in the fingers. I learned that bioelectricity not body heat is what makes touch screens work. Their name is derived from the element silver on the periodic table. They are water safe and work when wet. They still work when wet from snow! Cool. i learned they also have ones made of bamboo! I learned that silver provides natural thermal conductivity to even out temperatures in your hand. Agloves’ silver fibers are not restricted to two or three fingertips. Instead, the silver fibers are knitted into the fabric of the whole glove. This is important because it provides greater surface area for the natural bioelectricity in your hand. If the tips of your fingertips are not conductive enough due to dryness and cold, the bioelectricity from the palm of your hand flows through the super conductive glove to your fingertips to maintain your connection. I learned they have a 90 day return policy.